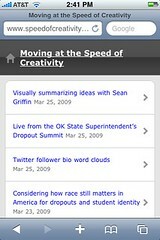 Published on April 7, 2009 in mobile. 17 Comments Tags: mobile, nokia e51. One of nice features of Nokia E51 is it has Wi-Fi modem embedded. That gives you a lot of opportunities. I was particularly interested in Skyping my friends from my mobile. First I checked Skype homepage in order to find out if there’s a version compatible with E51. There’s not… but on Skype forum I read that installing version for Nokia N95 might do. Only then did I read the official description of Skype lite.